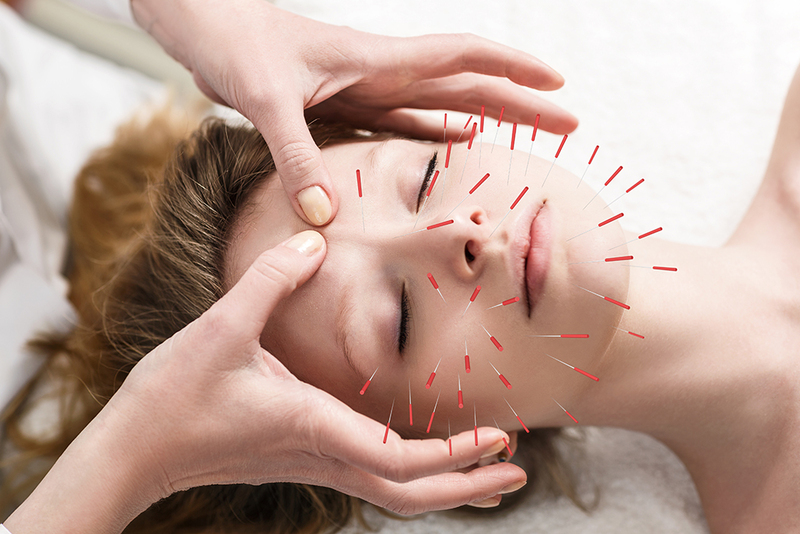 Facial aesthetic acupuncture improves muscle tone and the elasticity of the skin. It harmonises the complexion, helps to reduce fine lines or wrinkles and slows down the aging process. Dermal contraction induced by the acupuncture treatment prevents a loss of facial expression and reduces the tendency towards sagging cheeks and jowls. Fine gold needles are inserted under the surface of the skin which touch the spots that control the face muscles. They stimulate the different spots that have an influence on the cutaneous skin and local microcirculation. Initially, 3 to 4 sessions at weekly intervals are recommended. Then, one session every 3, 4 or 6 months according to the person. Who can benefit from it? Anyone wishing to improve their appearance and to slow down the aging process. According to Traditional Chinese Medicine the most appropriate substance to enhance and increase vital energy is yellow metal. Therefore, gold needles are superior to white metal needles for tonifying the skin and facial muscles. Acupuncturist since 1993, she obtained a Rosemont College diploma (Ministry in Higher Education, in Quebec), where she acquired a Prize for Excellence. Since then she regularly takes upgrading courses. In 1994 she opened a practice in Lausanne.